Even though Pierce Brosnan will always be my favorite James Bond, I am deeply saddened that we lost our 1973 Bond, Sir Roger Moore, this week. In remembrance, this week’s Fan Art Friday’s goes out to Sir Moore. Enjoy this sketch of the actor as James Bond by Patricio Carbajal, also known as Pat. I can’t get over how perfect the hair is in this rough sketch! 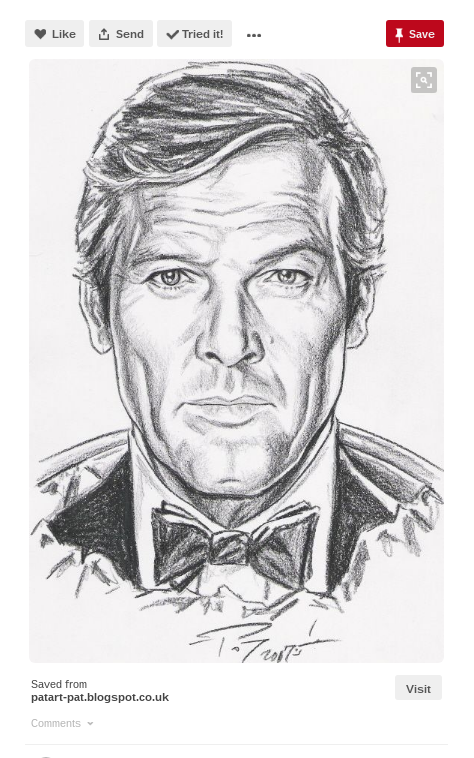 See more of Pat’s art at www.patart-pat.blogspot.com, and enjoy one of Sir Roger Moore’s James Bond scenes below. Looks like this misery might actually end for sure in 2020. This week, our favorite rock, Dwayne Johnson, gave us all some hope during a GQ interview and while on Jimmy Fallon’s show when he said he’d consider running for president in the upcoming election. If anyone can save us from the disaster and woes that the Trump Administration has brought upon us, it’s Mr. Johnson. He’s a strong man with a kind heart. 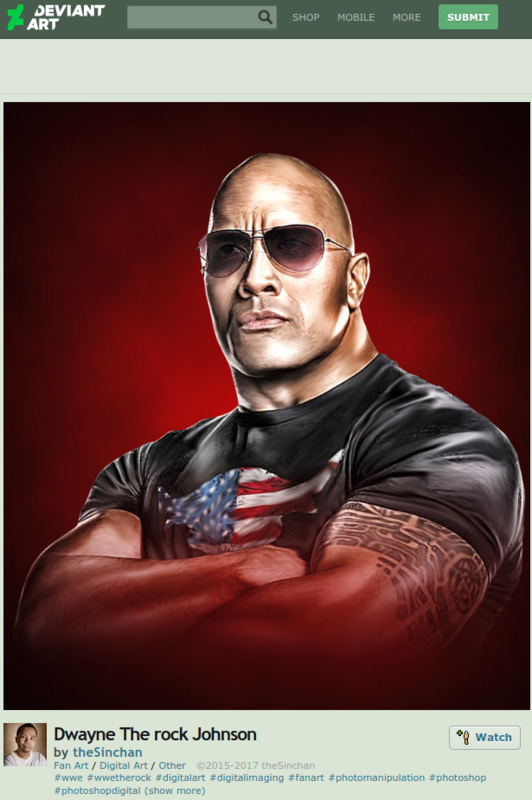 In celebration of the possibility that The Rock might be our next president, let’s admire this cool fan art I found of the actor on Deviant Art by theSinchan. I’m really digging the patriotism on the t-shirt. View the original fan art here, and watch Dwayne “The Rock” Johnson talk about running in 2020 on The Tonight Show! Today our favorite grumpy nerd from The Big Bang Theory turned 44! Jim Parsons is quite a character, both in and off screen. You’ve gotta love it when an actor’s personality shines through his work. 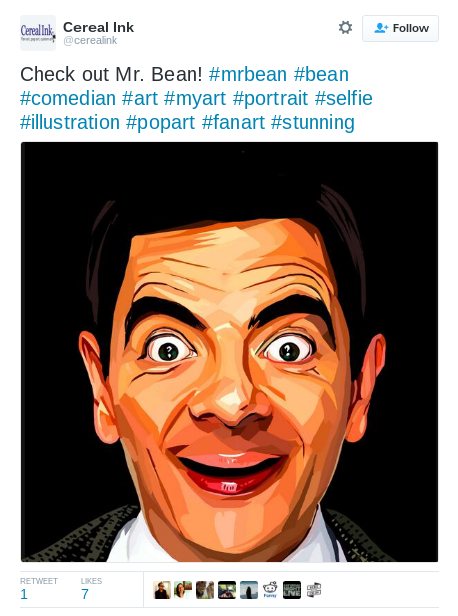 On honor of his birthday, I’ve decided to feature some fan art I found of the actor by rgbcn over on Instagram. 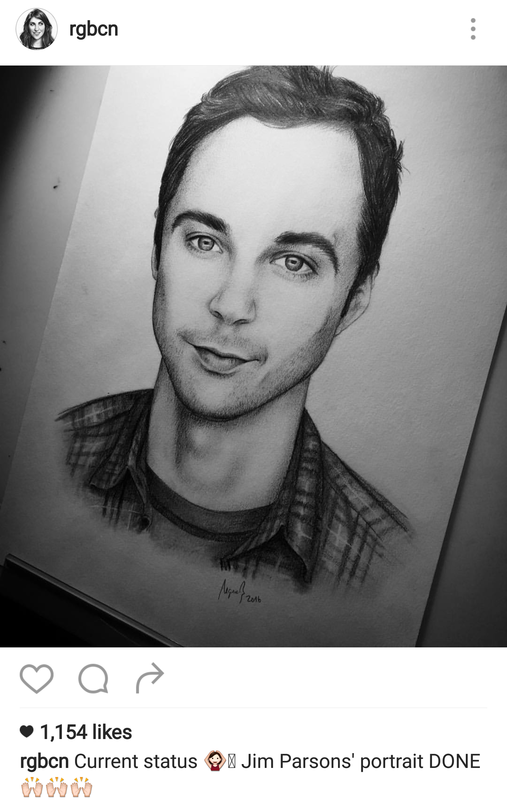 The black and white sketch captures Jim Parsons’ pursed lips perfectly. Happy Birthday, Jim Parsons! Check out more fan art by rgbcn at www.instagram.com/rgbcn. 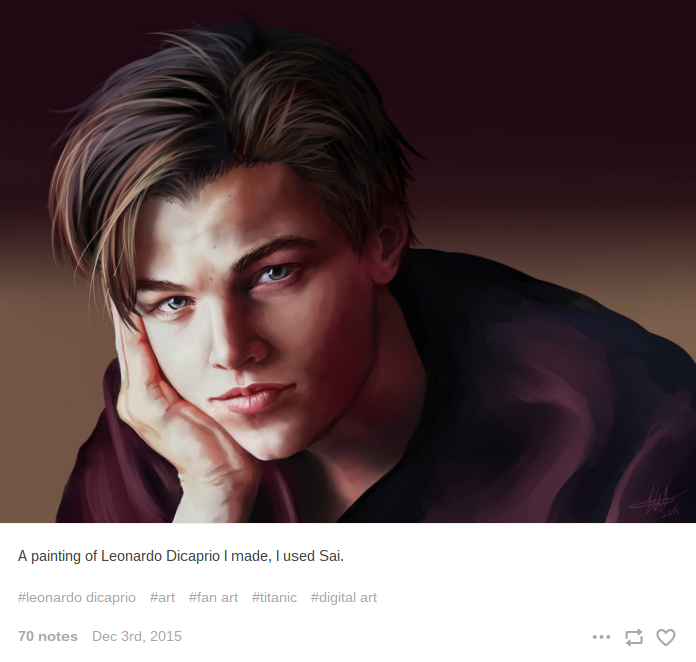 Fan Art Fridays: Happy Birthday, Leo DiCaprio! Leonardo DiCaprio turned 42 today, so I thought it would be fun to feature a piece of fan art I found of the actor in his younger years for this week’s Fan Art Fridays. This digital fan art of 90s Leo was created by Kristin (kgpencil.tumblr.com) using SAI. It’s so realistic that I can feel his green eyes staring into my soul even more so than the original photo it was inspired by! See the original fan art on Tumblr. 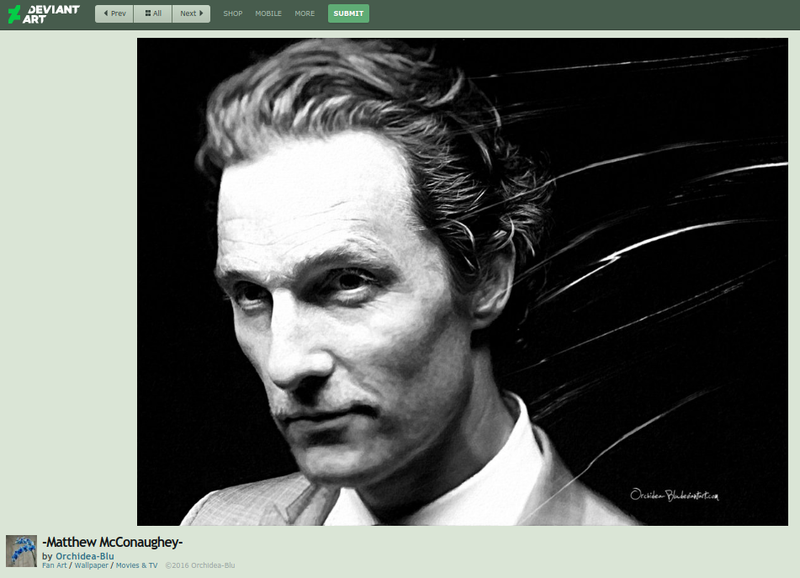 Fan Art Fridays: Happy Birthday, Matthew McConaughey! Matthew McConaughey turns 47 today! This is the perfect excuse to grab a big bowl of popcorn and binge watch all of the movies he’s in. In celebration, here’s a piece of fan art I found on Deviant Art by Orchidea Blu of the actor. It looks so lifelike! I’m still in denial. Is it really not just a photo?